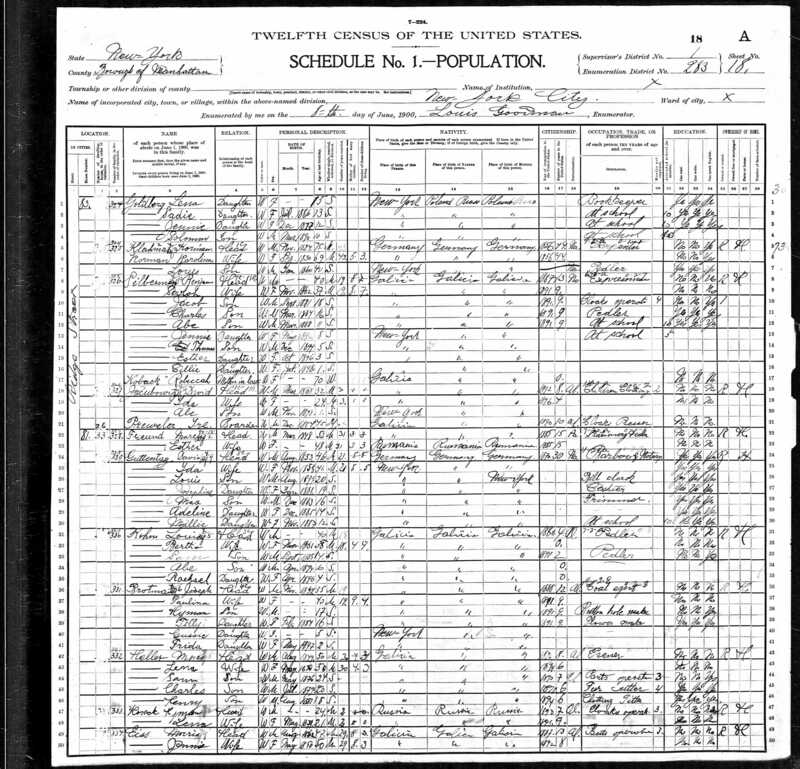 Joseph, son of Abram and Yetta, was born some time between 1826 and 1850 in Galicia. 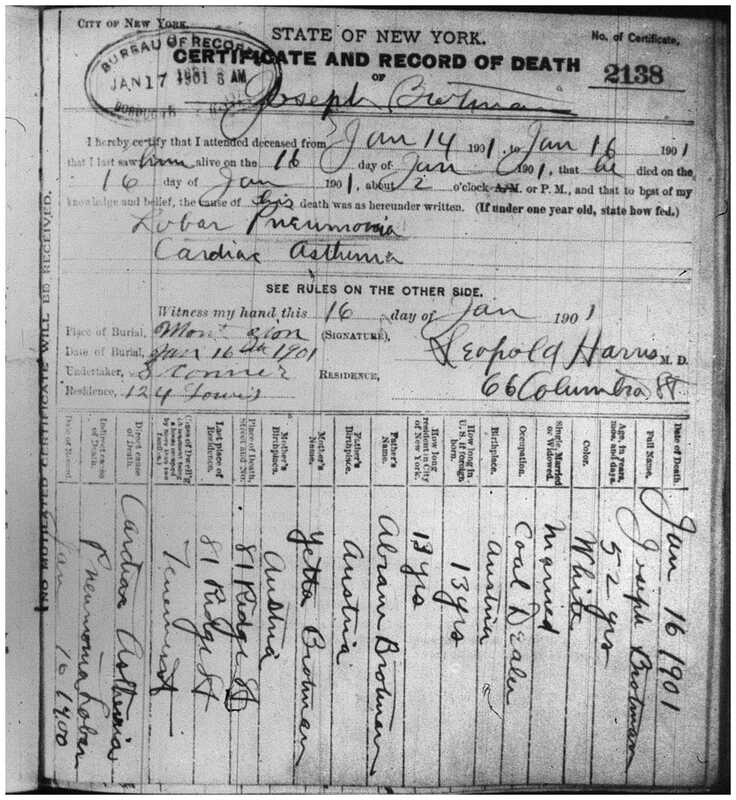 His birthdate is a mystery because every census or other record has a different age. 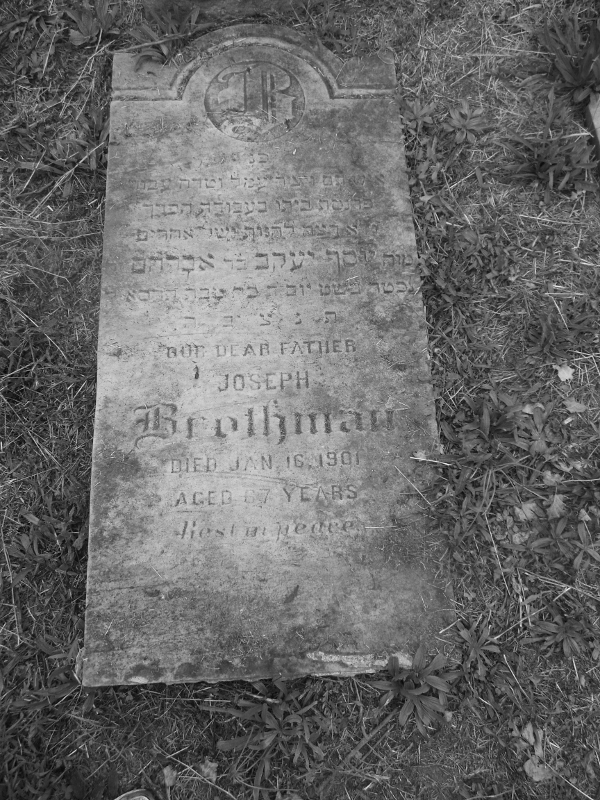 Even his headstone and footstone are in conflict: his headstone says he waas 73 when he died; the footstone says he was 67. 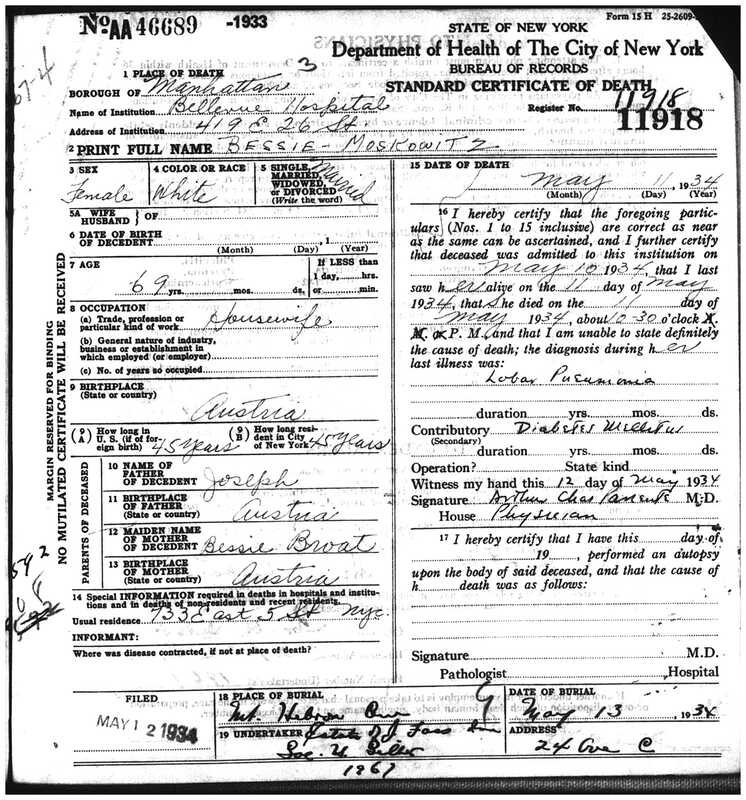 On Gussie’s birth certificate in 1895, it says he was then 60; on Sam’s birth certificate five years later, it says he was then 42! So who knows…He was married first to Chaye Gelberman, with whom he had four children, Abraham, David, Sophie and Max, born in Galicia. 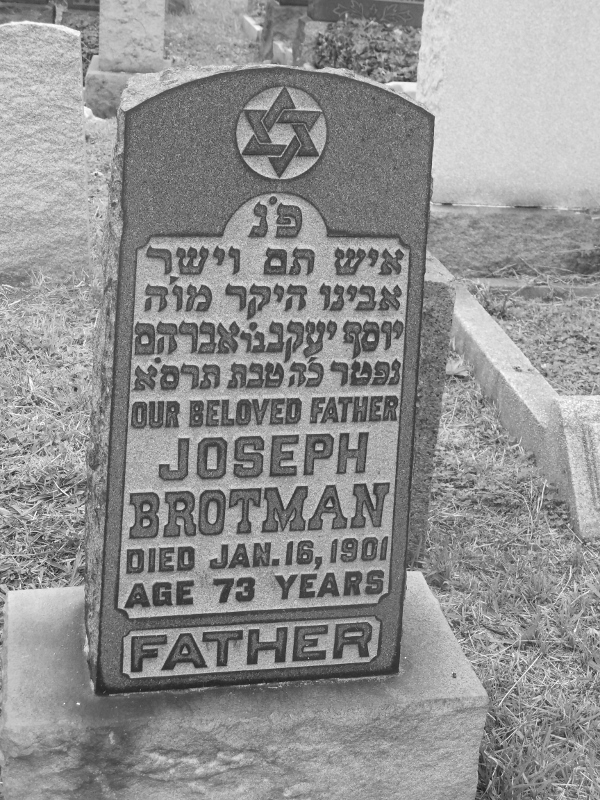 After Chaye died, Joseph married Pessel (Bessie) Broat Brotman, daughter of Joseph and Gittel Brotman. 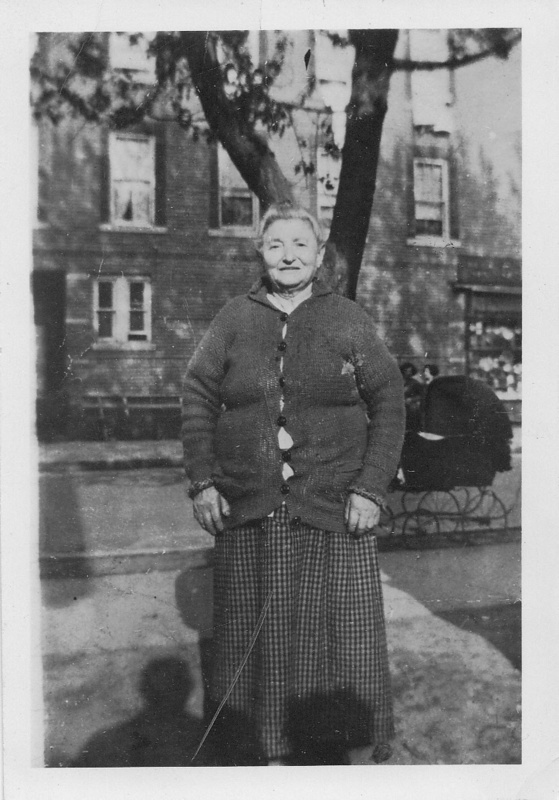 Bessie was Joseph’s cousin. 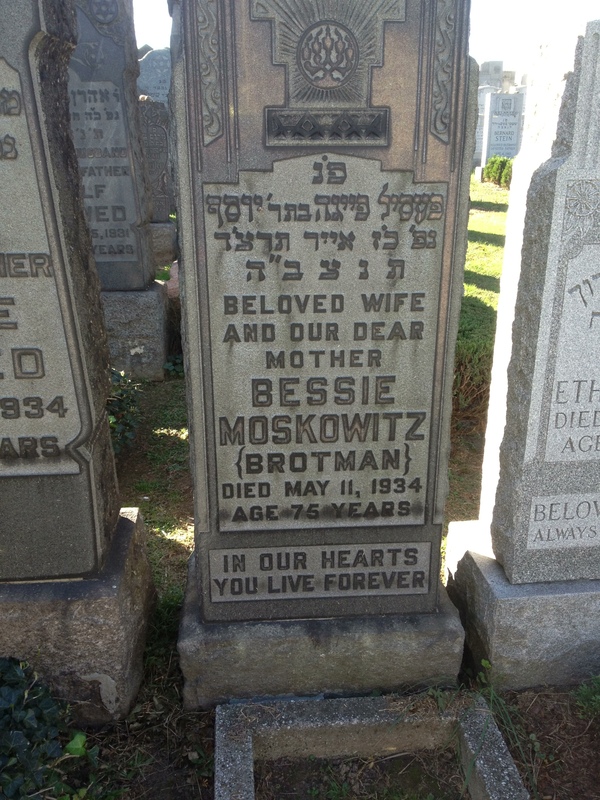 With Bessie, Joseph had five children who survived, Chaim (Hyman, Herman) and Tema (Tilly) who were born in Galicia, and Gussie, Frieda, and Samuel, who were born in NYC. 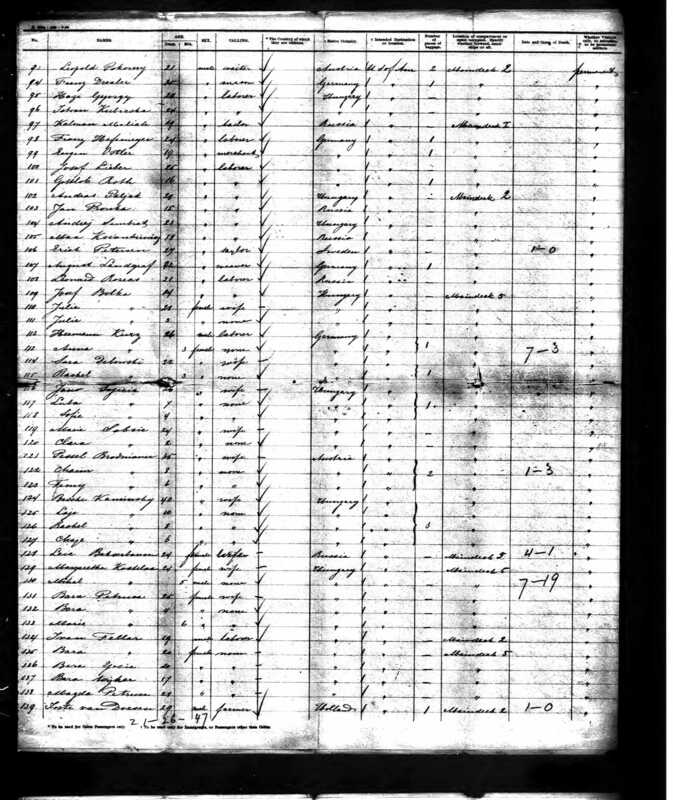 Joseph came to the US in 1888, perhaps with Max. Bessie, Hyman, and Tilly came in 1891 on the Obdam. Joseph was a coal carrier in NYC. He died in 1901, apparently of heart failure. He was seen as a hard-working man who supported his family and rejoiced in making them happy, according to the inscription on his footstone (seen above). 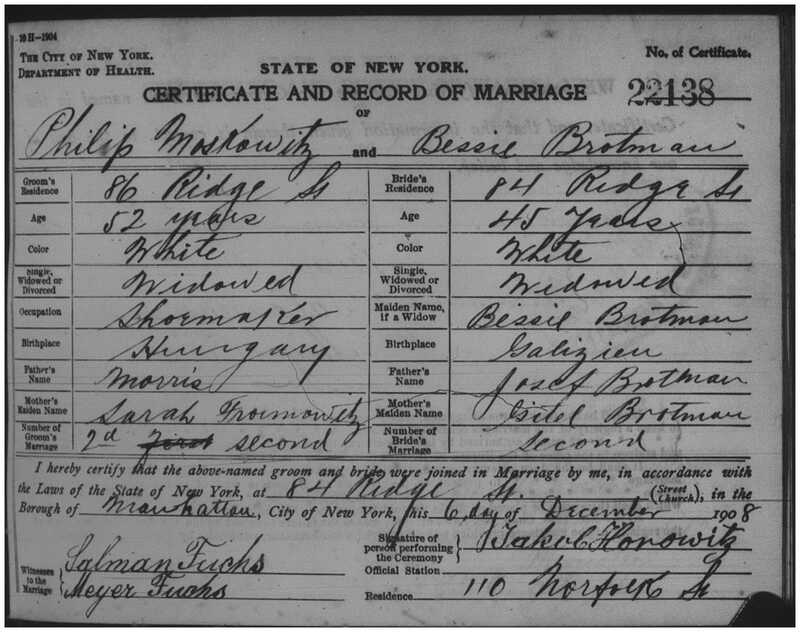 After Joseph died, Bessie remarried Philip Moskowitz in 1908 in NYC and lived with him and his children from his prior marriage and Frieda and Sam. 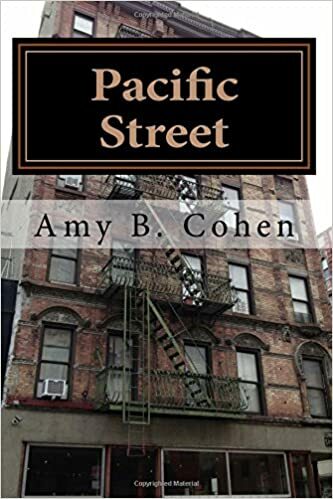 Bessie and Philip had lived next door to each other in the Lower East Side and were both widowed. Bessie had diabetes and had to have a leg amputated. 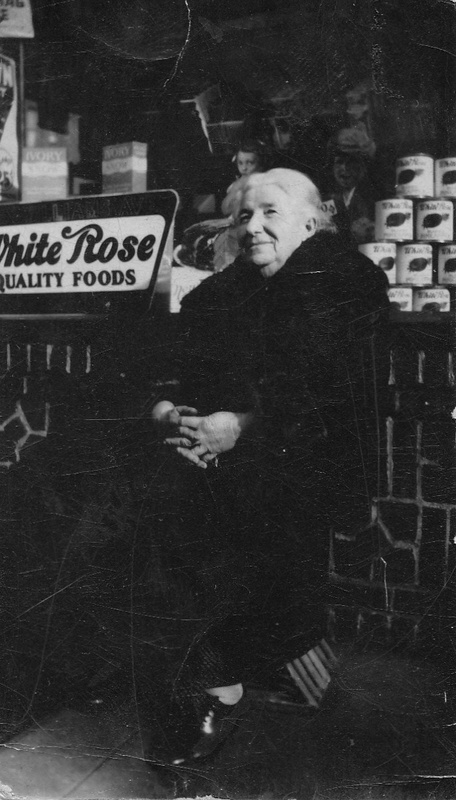 She died in 1934. Philiip died January 26, 1947. If only it were so. Just my own information itself posted there.